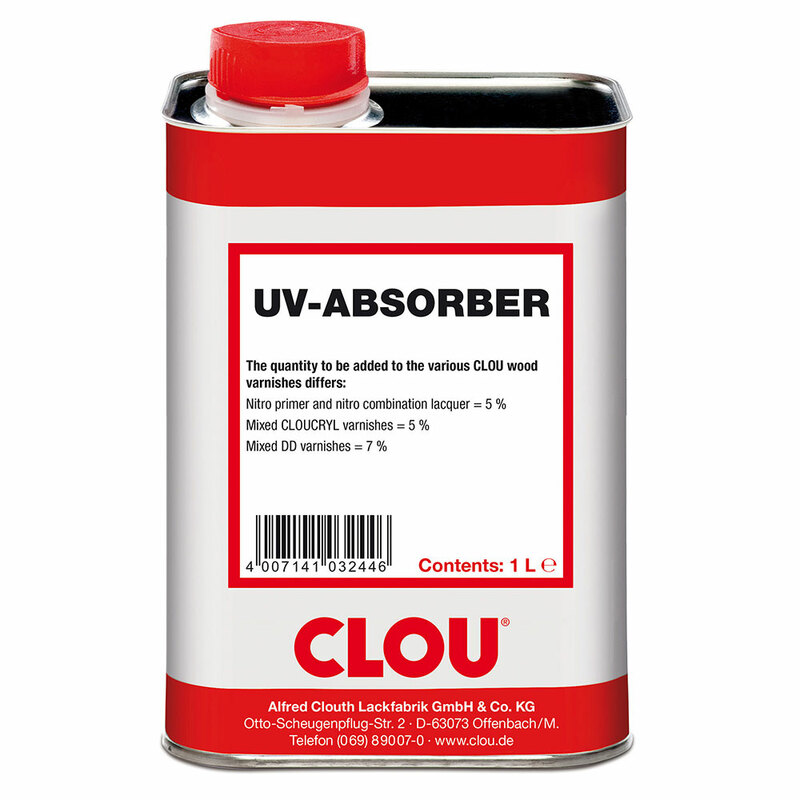 UV Absorber Additive 4471 can be added to all CLOU priming coats and CLOU clear lacquers that contain solvents. 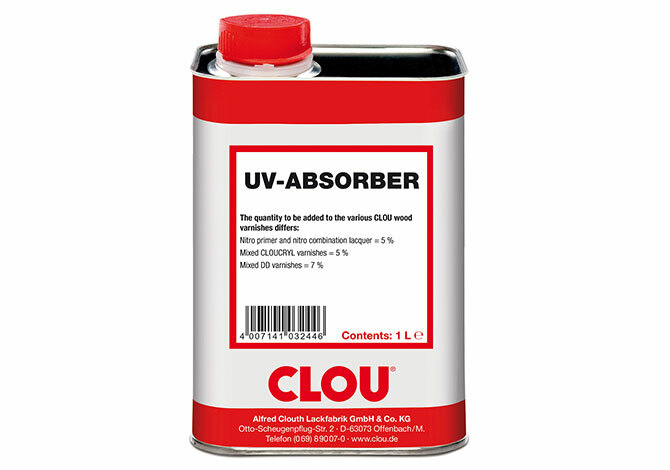 Low-viscous, highly effective light protection agent with UV absorbers containing solvents. UV absorbers slow down the damaging degradation caused by ultraviolet rays (sunlight or daylight), thus protecting against premature yellowing. Especially recommended when bright or bleached wood is processed.